On Sunday, T-Mobile and Sprint announced that the boards of both companies have approved a merger deal that will see the 'big four' US wireless networks carriers become three. Sprint and T-Mobile both have a much smaller market share than Verizon or AT&T, but together they will create a new company—simply called T-Mobile—to compete with the bigger carriers. Now that the deal is done, T-Mobile has a future to sell to America. What's the worst cell carrier in the US? As the corporations become one, they will start streamlining operations for efficiency, as this could have some concrete benefits for consumers, so long as some of the savings are also passed on to the customer. But, as the big four become the big three, the reduced competition could also lead to increased prices—as well as potential opposition from the government. To sell to merger, the new T-Mobile has set up a website with a sales pitch for its vision of the future, called 5G for all. We are promised a swath of network upgrades and huge extension of the 5G-ready spectrum—an attractive scenario made all the more closer to reality by the merger. T-Mobile's CEO John Legere will remain the head of the new company and promises "a fierce competitor with the network scale to deliver more for consumers and businesses in the form of lower prices, more innovation, and a second-to-none network experience – and do it all so much faster than either company could on its own," while Sprint's CEO, Marcelo Claure insists that the unification will "only benefit the US consumer." 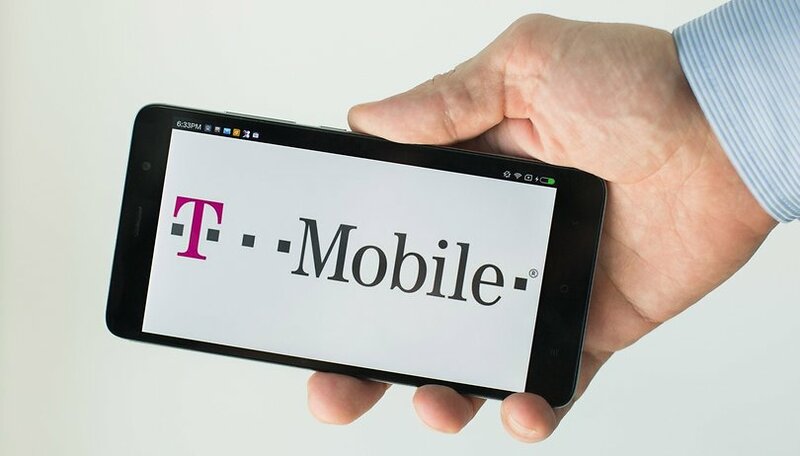 The combined customers of the new T-Mobile (about 70 million) will still be smaller than AT&T and Verizon’s customer bases but no doubt T-Mobile will only continue its strategy of aggressive expansion and campaign to offer its low- and mid-range LTE into rural areas. This network expansion will no doubt require thousands of new jobs and escalate a 5G arms race with Verizon and AT&T, which could end up accelerating the development of the new standard across the country. But consolidation, efficiency and streamlining come various cost-cutting measures and the elimination of redundancies: we can expect layoffs in the most vulnerable areas: retail; customer service; technicians; middle management. The closure of stores, franchises and call centers will be inevitable, with potentially thousands of venues being shut down. Aside from layoffs, the other potential problem would be the reduction in competition. How much of a difference will the loss of the smallest challenger in the carrier market make? The merger of T-Mobile and Sprint will up also affect the small-time prepaid suppliers they own. For example MetroPCS and Boost Mobile will no longer have much incentive to compete for customers now that they are both under the T-Mobile umbrella. With only three big players in the telecoms market, it could also be easier for T-Mobile, AT&T and Verizon to collude and keep prices above a certain point for the benefit of all. Thanks to the weakening of net neutrality rules by the FCC, we could see various services throttled or zero-rated by the different operators as they carve up larger sections of the market for themselves. That's where the problem of government regulation comes in, and why the new T-Mobile's website aims to convince the US government as much as the consumer. "Global tech leadership for the next decade is at stake and ONLY the New T-Mobile will have the network and spectrum capacity to quickly create a broad and deep 5G network in the first few years of the 5G innovation cycle." Who is this intended for? The FCC, under Ajit Pai's leadership, has been proven ready to back big telecom to the hilt, but the Department of Justice, on the other hand, has been less friendly to massive mergers (notably, AT&T's bid for Time Warner). So it's possible that the new T-Mobile will face scrutiny from the DoJ on antitrust grounds. To preempt this, T-Mobile is using the same fearmongering strategy that Mark Zuckerberg had in his playbook against the potential breakup of Facebook. Namely, the argument that America needs its big tech to get even bigger in order to stay ahead of China in the global economy. "It is absolutely imperative that the U.S. extends the global innovation, technology and economic leadership it seized during the 4G era" according to T-Mobile's press release. "Unfortunately, other countries see this opportunity as well and have taken bold steps that have given them a head start. CTIA ranks the U.S. behind both China and South Korea in 5G preparedness...The U.S. must move quickly and our leadership can do just that." Here's the Catch 22 for lawmakers facing this strategy from aggressive tech companies, especially under the 'America first', protectionist-leaning Trump administration. Does this meaning protecting the consumer choice of the average customer at home? Or does it mean holding onto America's leadership on the world stage at all costs? It's not an easy choice. Even backing the new T-Mobile involves weighing the loss of retail and service jobs against the new jobs created in construction. In its manifesto, T-Mobile deploys both the carrot (expanded service, faster 5G), and the stick (competition from other nations). It's a pretty tasty-looking carrot, to be sure. But it's still just promises at this stage, which means we have to take T-Mobile at its word. Given T-Mobile's sketchy track record (let's not forget, this company was made to pay over $90M back in 2014 for knowingly scamming its customers with bogus charges), it might be wise not to take their claims of passing savings on to the consumer at face value. What do you think? Will the merger of T-Mobile and Sprint be good for consumers, or for America? My guess peering over the Canadian border is that the cost / benefit of reducing national competitors from 4 to 3 really does boil down to the implementation of 5G service - there's probably a good financial case that neither T-M or Sprint alone could effectively build a 5G network, but the combined entity can. That would potentially increase national competition from 2 to 3 carriers in the near future on the next big platform. If Sprint / T-Mobile merging gets a 5G Network up and running quickly (which is the main benefit from all of this), then the only questions I have involve the trickle-down effect with No Contract Services. IF Sprint is becoming T-Mobile, then it is fair to assume that Boost Mobile will become MetroPCS. So, any Consumer with a Sprint / Boost CDMA Smartphone is going to have to switch to a T-Mobile / MetroPCS GSM Smartphone (well, let's face it, everyone is going to have to update their Smartphone to something 5G compliant within 2 years). Yes, some Sprint / Boost shops are going to become T-Mobile / MetroPCS (or close down permanently). Yes, certain Employees are going to make that switch (or lose their jobs). Only time will tell what Prices / Service Bundles will be offered. It's probably good for the Sprint customers but I dont see other consumers benefitting really.